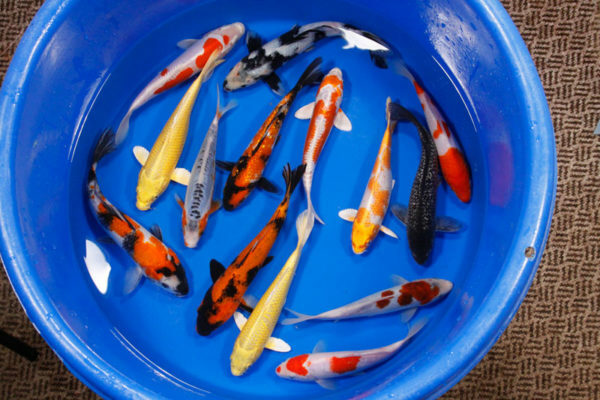 We have everything you need to build, maintain, and enjoy your pond. 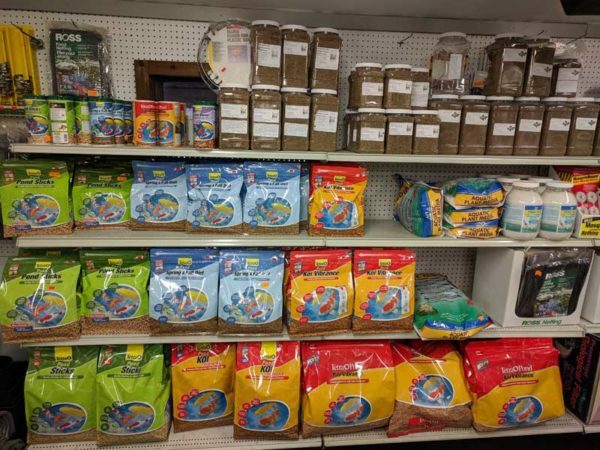 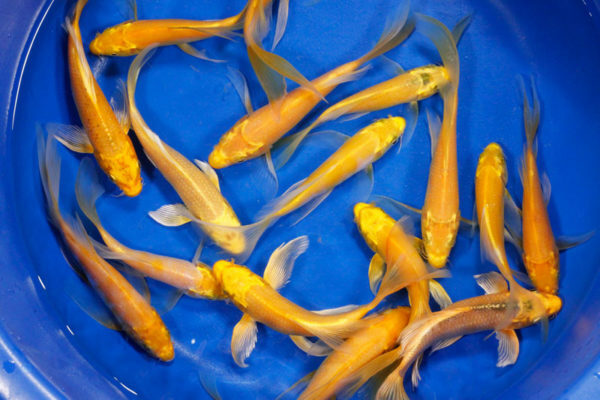 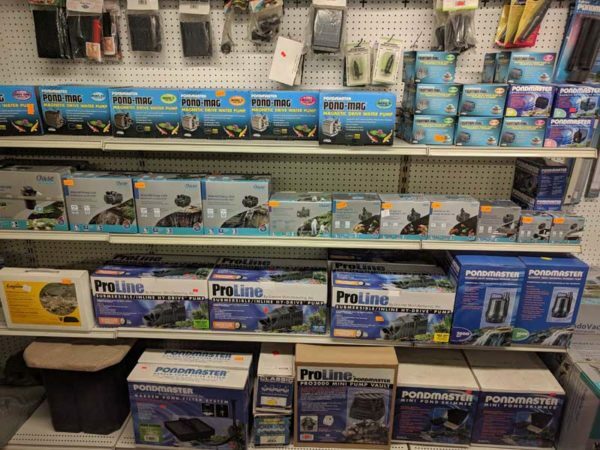 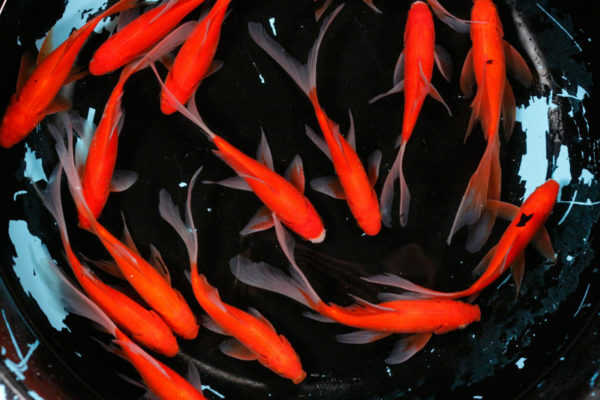 Liners, skimmers, filters, pumps, nets, aerators, pond heaters, UV lights, pond vacuums, and fish food are always in stock. 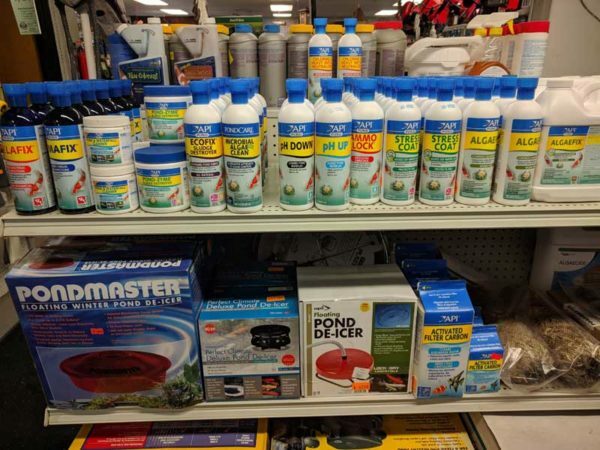 We also carry all of the chemicals and biological additives to keep your water clean and your fish and frogs happy. 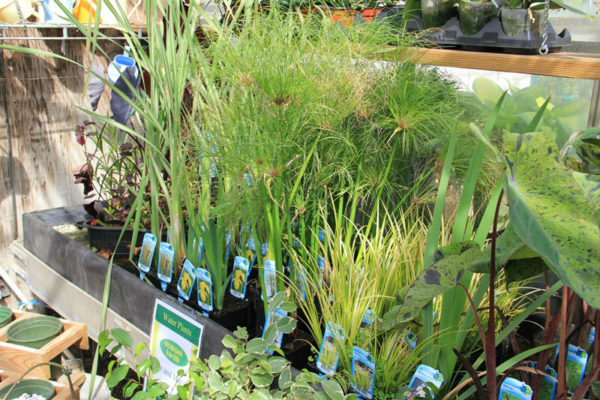 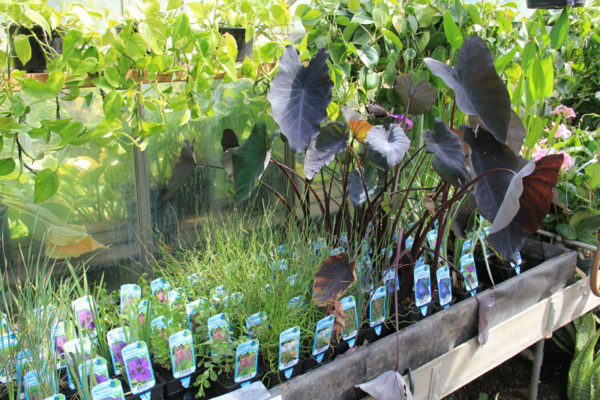 hardy and tropical plants, we have plants to oxygenate your water, keep algae down, and bring color. 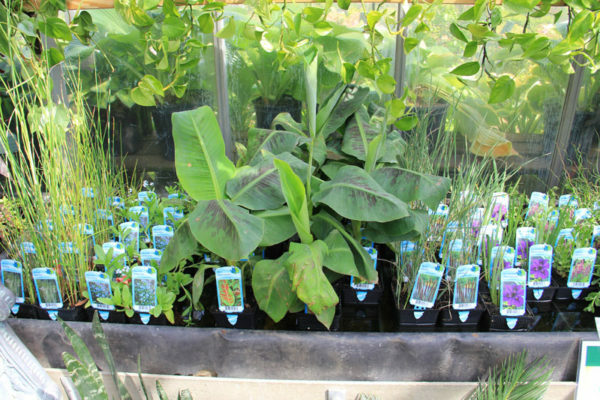 Plants include anachris, bananas, cat tails, cannas, colocasia, houttuynia, horsetail, iris, juncus, papyrus, parrot feathers, sweet flag, water lettuce, water hyacinth, water lillies, and lotus.